So begins The Mine Wars, a magnificent PBS documentary tale of the birth of the United Mine Workers of America a century ago, in the dawning years of the 20th century. There is something about the industrial, proletarian labour movement that is hard to convey to those who have not lived it. The UMWA personifies this thing as perhaps no other union. That thing is solidarity. Solidarity is a value system of honour, discipline and cooperation formed by conditions where the truth that “No one will save us but ourselves – we are our own protection” becomes overwhelming, a life and death demand, and a moral imperative. 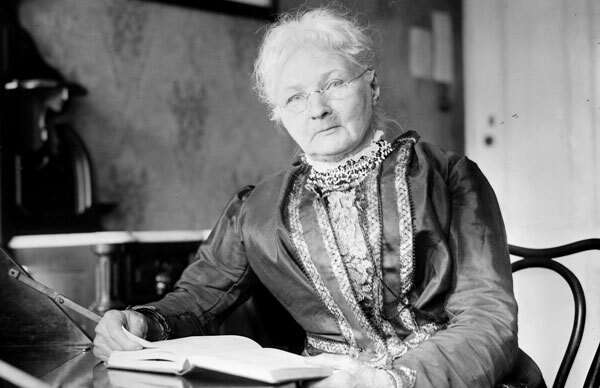 Mother Jones was an inspiration to all miners. The Mine Wars bears powerful witness to the workers and families whose labours under the mountains of earth fired the furnaces, and set flowing the rivers of light, energy, and steel; whose work fuelled and transformed the world, that allowed the awesome lift of civilization and labour itself from darkness; whose insurrection for recognition of their union and human rights secured the rights that today we cherish as no less dear than the oxygen we still freely breathe; and whose gift, by example, is the possibility of hope for a different future. It is said that Pandora, the first human woman according to Greek mythology, loosed (according to Zeus, anyway) evils upon the world from her box to assault the authority of the gods. Hope, however, she kept safely locked away from them – for the future of humanity. Any who seek to understand the unique solidarity and defiant culture that enabled mine workers in West Virginia, and throughout the world, to prevail and strive for dignity in a multi-generational struggle against a raw, lawless, naked corporate dictatorship, should memorise this tale. Does their model for survival, indeed rebellion, against such enslaving and life-crushing conditions, speak to our times? The Mine Wars has a couple of heroes who thought so: Mother Jones and Frank Keeney. Mother Jones was an inspiration to all miners. Standing down gun thugs, mine guards, death squads, deputies, prosecutors and preachers, wherever Mother Jones travelled speaking for union organisation, strength, courage, and a rising of miners followed her. Frank Keeney was a rank and file miner and socialist chiefly responsible for the mobilisation, the multiracial mobilisation in a segregated state, of the insurrection against the coal dictatorship in 1921. The insurrection failed, put down by federal troops. But its child, the upheaval of the 1930s under the leadership of John L Lewis, transformed the entire labour movement. Want to teach the secret of beating the billionaire class in this time? Make this story one you tell and retell to your children, grandchildren and family, so they can tell it too. Times come, and may come again, where the fight for freedom against overwhelming odds, must be fought again, with little but Pandora’s hope to cast like a moonshot at a future generation. The Mine Wars aired on PBS beginning on January 28. Available online and in DVD. The film can be accessed on the website, with substantial additional video and print documentation.